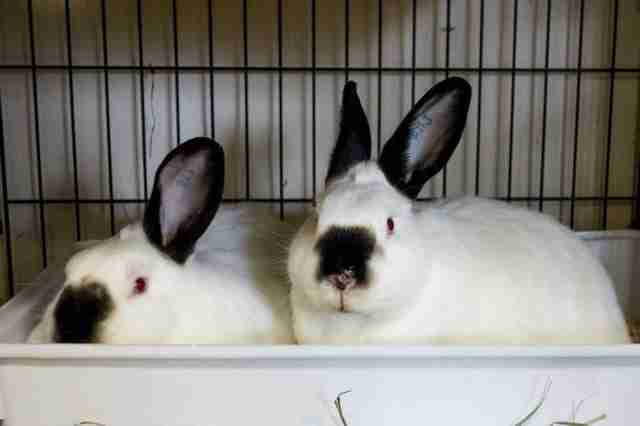 After spending virtually their entire lives as the longest-serving residents of a Canadian animal shelter, a pair of inseparable bunnies have finally found a forever home to call their own, together. 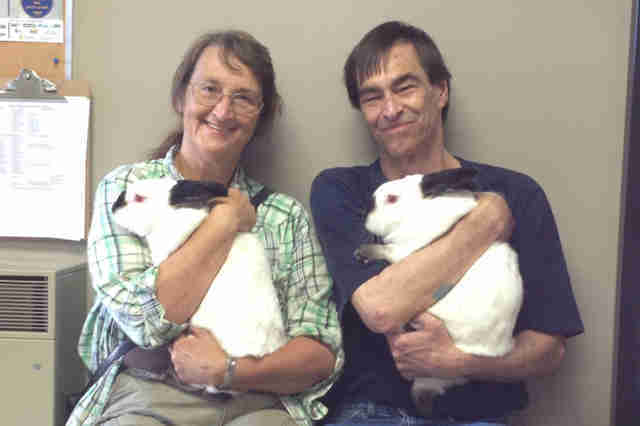 Monty and Betty Boo first arrived as babies at the British Columbia SPCA's Victoria shelter back in 2010, and their circumstances hinted that their lives had been thus far devoid of love. They were dropped off along with around 30 other rabbits, packed together in cramped wire cages, by a man who had originally raised them for meat. "When they came in, they were in very poor condition," shelter worker Amy Mclaughlin told The Dodo by phone. "Monty and Betty Boo were basically feral, terrified of people." 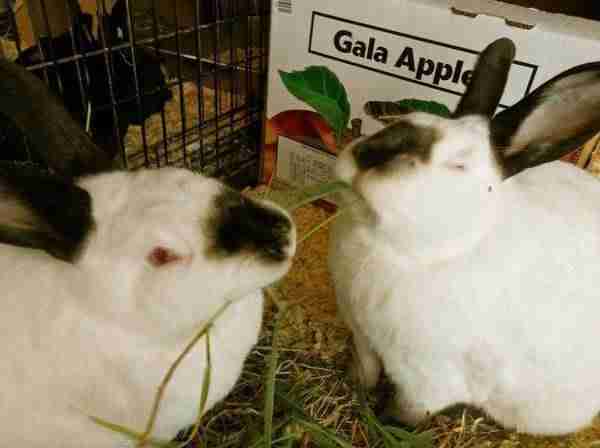 In time, the shelter was able to adopt out all of the rabbits to loving homes - all except for Monty and Betty Boo. Unlike the other bunnies, Monty and Boo weren't very social, preferring one another's company above all. When potential adopters stopped by their cage, says Mclaughlin, they would hide. As the years passed, the shelter's staff did their best to make them more comfortable around people. Monty and Betty Boo were regularly fed by hand and picked up as a pair to build trust. 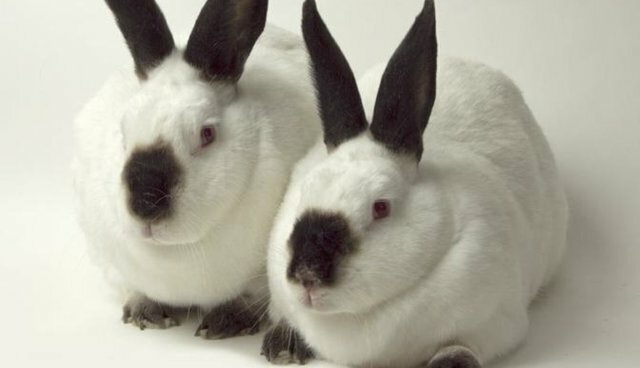 They might still have been a little more ornery than an average rabbit, but to the shelter staff, they were lovable all the same. "They ended up becoming a bit more social with people," says Mclaughlin. "They really turned into amazing pets." But there was one factor that continued to hinder their odds of getting adopted; they needed to be adopted together. "They eat beside each other. They sleep huddled together. They do everything together," says Mclaughlin. "They're definitely best friends and we wanted them to stay together." After four long years at the shelter, it started to seem that the bunnies might never find a better place to live - but the day finally came. A couple, who have adopted many small animals from the shelter in the past, came in to give Monty and Betty Boo another look, and found them to be far more friendly than they had been before - and they decided to take them home. The shelter staff was in disbelief, but pleasantly so. "The people who took them are absolutely amazing," says Mclaughlin. "There were many happy tears. Everyone was jumping up and down or crying. It really was amazing."